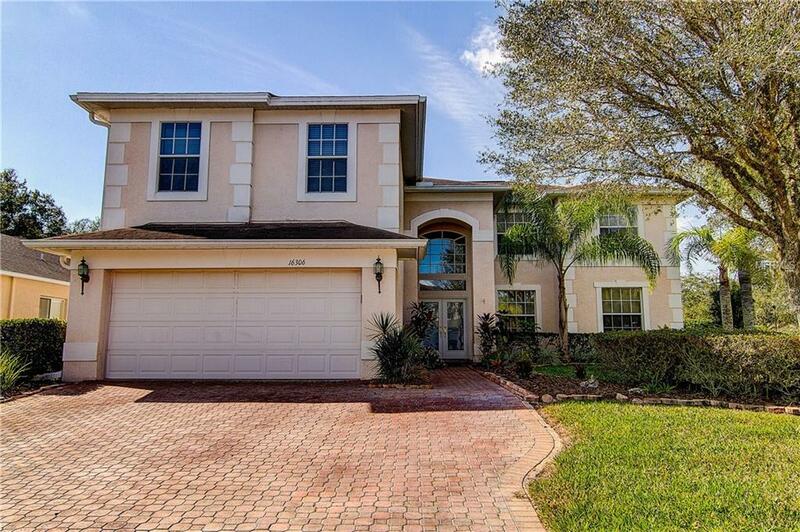 Spectacular 5 bed 3 bath POOL home in the gated community of Ashington Reserve in Tampa Palms located on a 1/4 acre corner lot on a cul-de-sac! 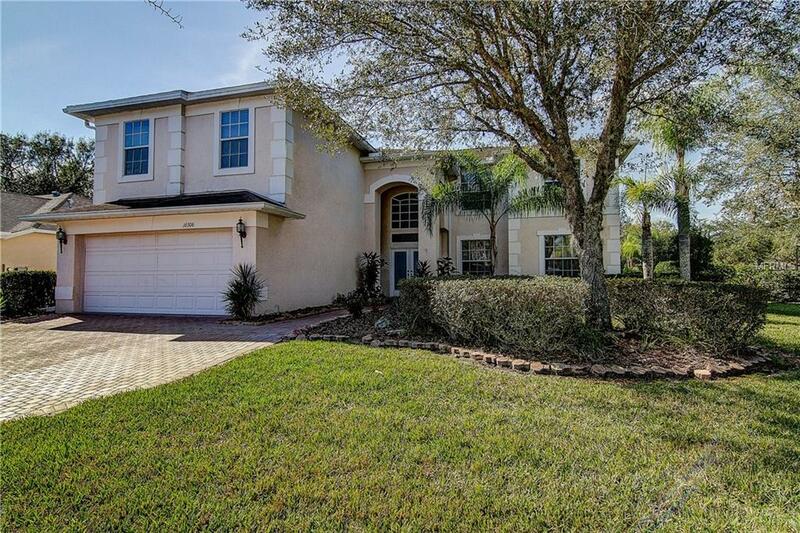 Step inside to a spacious foyer with open staircase to the 2nd floor. A full bath with walk-in shower & utility room are located off the entrance to the 2 car garage as well as a large office that also has french doors leading to the family room. On the right is a formal living room & formal dining room with wood flooring, crown molding & chair rail adding sophistication. The open kitchen features an island, built-in desk, granite counters, glass sliders to the patio & a wet bar with pass-thru that opens to the family room which also has large glass sliders to outside. The paver patio surrounding the pool is all screened & opens to both the fenced backyard & big side yard with privacy hedges. Upstairs a hall bath that has a tub/shower combo & built-in shelving for added storage is shared by 4 of the bedrooms, including a 20'x24' bedroom would also be a great theater/game room or exercise studio! The master has a giant walk-in closet, separate sitting area, & private bath with jetted soaking tub, walk-in shower, & dual sinks on an extra long vanity with area to sit when doing makeup. Solar panels help keep your energy costs low! 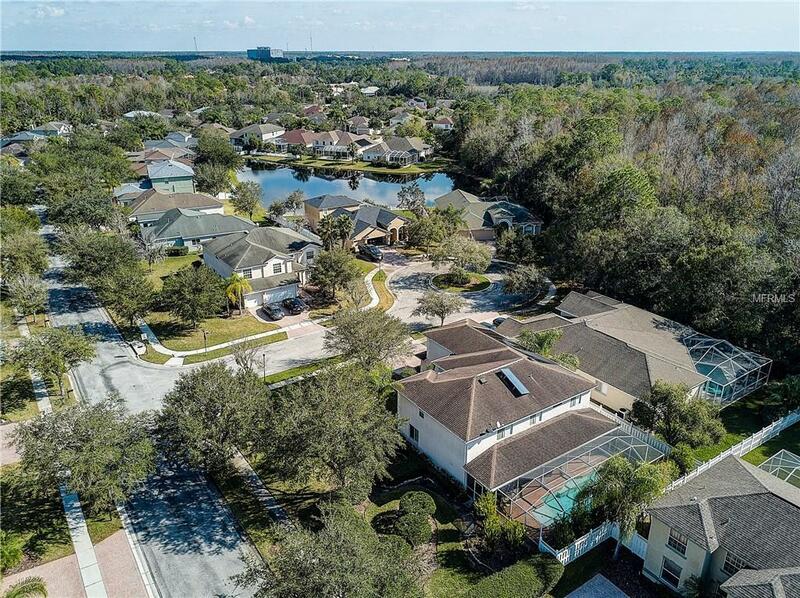 All this located in the community of Tampa Palms close to I-75, shopping, dining, & movie theater! Club Tampa Palms membership included- access fitness classes, 2 heated pools, saunas, spa & more! Pet Restrictions Http://Www.Mytpnoa.Com/Tpnoa-News-Page.Html 2 Dogs Or Cats Per Home. 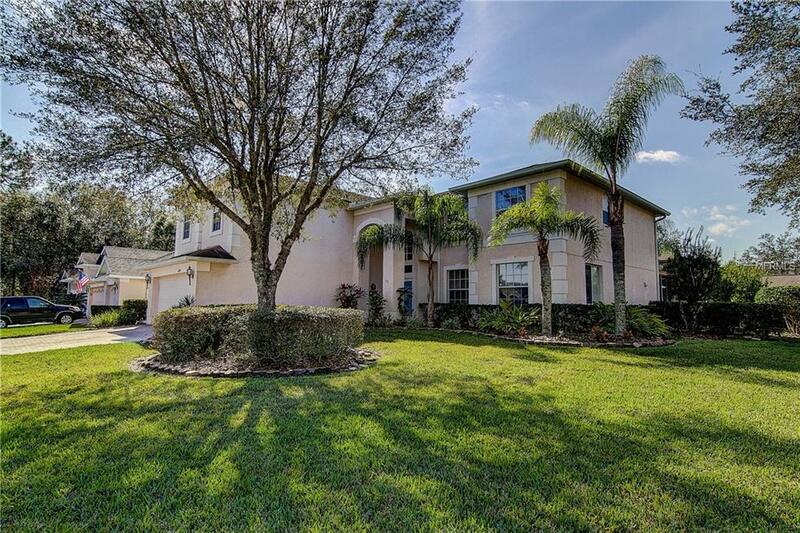 Listing provided courtesy of Mavrealty.